I realize I'm cheating a bit by considering Poltergeist a Lone Star Cinema selection, since the connections seem pretty sparse, as you'll see in the last paragraph. Watching the trailer for the upcoming remake (in theaters later this month) made me want to see the 1982 movie again -- I'd seen it only once before, on a bootleg VHS tape in the mid-1980s. The most surprising thing about Poltergeist is how very odd it is. It's just weird, at least from a contemporary point of view. It's as though someone took the hallmarks of Steven Spielberg's 1980s filmmaking and twisted them into something almost distastefully creepy. 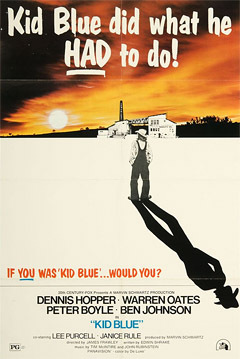 That someone may have been director Tobe Hooper (The Texas Chain Saw Massacre) or producer/co-writer Spielberg himself. I was entirely absorbed by the movie this go-round, but I can't really say I liked it. For anyone left who hasn't heard of the movie (or only knows its "They're here!" 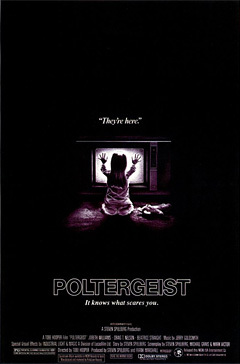 tagline), Poltergeist is about a typical suburban family that has to deal with strange, supernatural activities in their otherwise typical suburban house, just as contractors are digging up part of the yard for a swimming pool. The younger daughter, Carol Anne, is particularly susceptible ... and eventually vanishes into thin air, although audible from the static-y TV set (who else remembers static?). One thing I do remember from seeing Poltergeist as a teenager is my utter amazement that even though Carol Anne is kidnapped by supernatural beings, the family continues to live in the house. I still can't believe they stay there as long as they do, although that does add extra satisfaction to the final scene. This time, though, I can't believe that they don't call the police or let anyone know about Carol Anne's appearance except a handful of parapsychologists, led by Dr. Lesh (Beatrice Straight). And of course you know Zelda Rubinstein is going to turn up eventually. 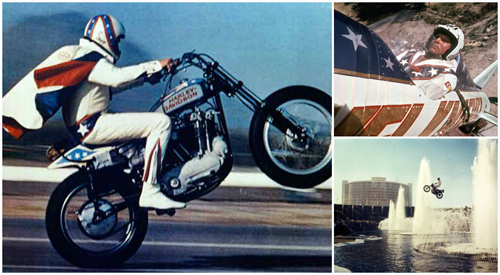 Generations have been affected over several decades by the spirit of legendary icon Evel Knievel. As a child growing up in the 70s, my own most prized possession was my Evel Knievel stunt cycle and action figure. "Popping a wheelie" on my bicycle was an exhilarating micro-attempt to emulate the excitement of witnessing Evel's televised stunt jumps. Filmmaker Daniel Junge was influenced enough to tell the complex story and legacy of a hero who wasn't always the good guy in his new documentary Being Evel. Junge has artistically created a thorough portrayal of an extraordinary man who was inherently flawed. Knievel's lavish spending and frequent womanizing were quite public, as were his temper and stubbornness. As a showman and king of the daredevils, Knievel set the foundation for the culture of action and extreme sports in the United States. Layla (newcomer Devon Keller) is a high-school senior shacking up with her dropout boyfriend Danny (Kiowa Tucker). An honor student, she gets a scholarship to UT Austin and then finds out she's pregnant. 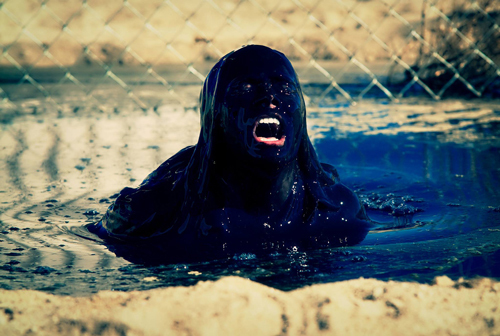 Given her predicament, what can she do? Petting Zoo, from director Micah Magee (see my interview with her), thrusts the viewer into several months of Layla's life. One notable facet to the main character is that she is working poor. Layla refuses to live with her financially stable but abusive father, so has to move in with her elderly grandmother (Adrienne Harrell, Zero Charisma) and share a bed. Magee perfectly conveys the utter vulnerability of her situation. We see Layla sleeping many times -- through loud parties in Danny's apartment, in a friend's car after seeing Girl in a Coma, on her grandmother's couch after hearing bad news. Such sequences illustrate the precariousness of her life, and the limits of her control -- especially when she loses her support system. This is not to say that Layla has no choice in anything; that would be a false statement. What decisions she can make, she does. She leaves her loser boyfriend, decides to keep her baby, and wants to make it on her own. She also falls into a relationship with fellow graduate Aaron (Austin Reed). This is turning out to be a very different year for SXSW, as though last year's tragedy marked a turning point where the city and the SXSW staff realized that things had gotten out of hand with too much going on at once with too little control. The result has been in my own observation that downtown seemed practically dead when I arrived Friday to pick up my badge. Strictly limited permitting for outside events and venues in addition to much of the interactive events being relocated away from the convention center have thinned the crowd to manageable levels, though we will see if that persists as the music portion of the fest kicks into gear. 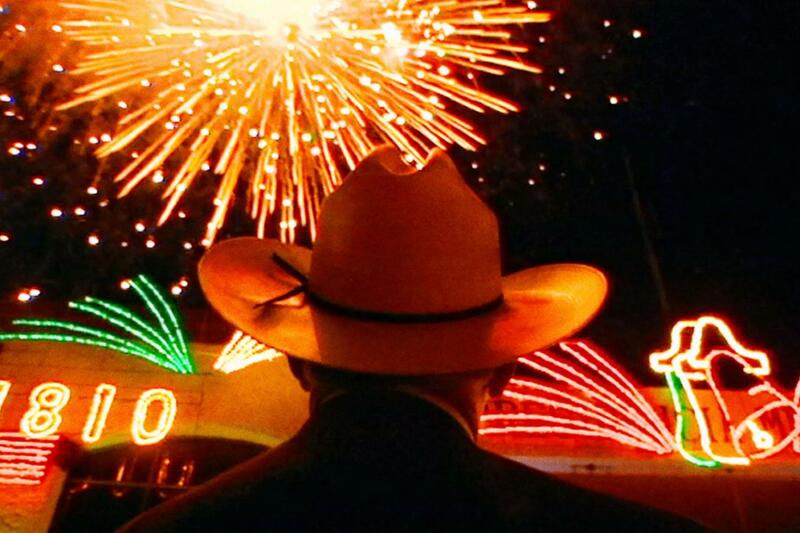 This documentary by brothers Bill and Turner Ross (who premiered Tchoupitoulas at SXSW 2012) covers 13 months in the border city of Eagle Pass during Chad Foster's last term as mayor. Foster gained recognition as an outspoken opponent of the border fence idea. Much of the film focuses on the lives of ranchers and cattle traders who purchase cattle on the Mexican side of the border and transport them for sale in the US. Eagle Pass is presented as an idyllic locale where the Mexican and American cultures are so intermingled as to be indistinct. Foster, for instance, in his speeches switches between perfectly-accented Spanish and a completely authentic Texan drawl English mid-sentence. As outside political forces close the border and begin to erect walls that threaten their livelihood, the citizens of Eagle Pass struggle to understand the paranoia over drug cartel violence until it reaches their doorstep. The number of parties in Park City, Utah, during Sundance and Slamdance Film Festivals can be overwhelming for any festgoer who wants to experience more than just the extensive film programming available. To balance between screenings, interviews and parties, I select a few events to attend each year. Most important are the film commission events, which provide a great opportunity to network with industry colleagues and learn about movie projects supported by the film associations. 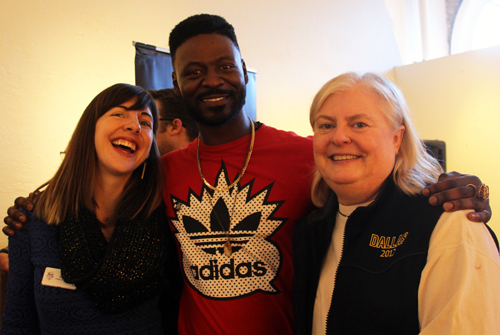 The Texas Association of Film Commissions hosted their annual Film Texas reception last week, with representatives from various film commissions including Kim LeBlanc from the Texas Film Commission and Janis Burklund, director of the Dallas Film Commission, both seen above with Results star Tishuan Scott. The San Antonio Film Commission also hosted an event with director Drew Mayer-Oakes in attendance. Both events provided a great opportunity to discuss the Texas Moving Image Industry Incentive Program. Many of the conversations that I took part in focused on filmmakers expressing their concern about the impact of legislative changes that could come about in the upcoming legislative session under a new governor. 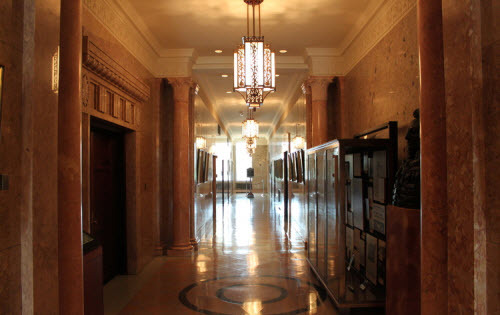 A reduction or elimination of the incentive program could result in the relocation of film projects that are currently on hold. 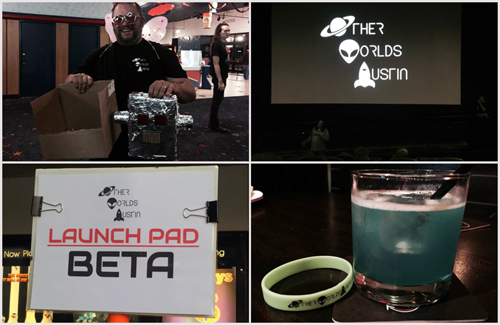 Other Worlds Austin: Fest Has Lift-Off! Despite the fact that this was the first year for this film festival, which only spanned Thursday and Friday evenings and all day Saturday -- primarily at Galaxy Highland -- I was impressed by the number of filmmakers who traveled from as far as Los Angeles and New York to support their films. Just a few of the filmmakers in attendance included writer/director Cidney Hue (Odessa), director Bryan Costanich (Slumptown), and Apt 3D writer/director/actor Zack Imbrogno and editor/actress Maxxe Sternbaum. In my book, short filmmakers (not judged by their height but the length of their movies) were the true guardians of the Galaxy -- Galaxy Highland 10 Theatres, that is. My attendance Friday at the inaugural Other Worlds Austin science-fiction movie festival will be saved in my mental hard drive; not only was this Austin's first dedicated science-fiction movie festival, but my first attendance at one. Oh, I've had many informal science-fiction movie fests on my couch in front of the TV (alone because none of my friends or family members enjoy science-fiction, they're more into rom-coms). The Other Worlds Austin Cthulhu-like logo sold me instantly. It brought back many memories, like when I first heard about H.P. Lovecraft, author of the short story "The Call of Cthulhu." I was in middle school, stuck at home sick and bored, so I dug around in a box of a family member's belongings and found a DVD of the first episode, Dreams in the Witch-House, of the now sadly defunct Showtime series Masters of Horror. This led to me scrounging my local public library for anything associated with Lovecraft, who, despite his sexism and racism, probably has the coolest last name. Ever. My anthropoid homie Cthulhu and I have been tight ever since. This "passage to the unknown" lines up well with the short movies I saw at OWA for its second shorts program (aptly titled "Passage to the Unknown"). One short even almost made me cry. A recent New York Times article reports that droughts are intensifying across the United States western and southwestern regions, with California, Nevada and Oregon bearing the brunt. Texas is also experiencing drought across much of the state, and prolonged dry conditions put a considerably strain on water supplies for all uses. Many states are using innovative technologies -- aquifer storage and recovery, desalination, water "scalping" -- but are still forced into placing restrictions on water use, with fights over water rights ensuing between local government, landowners and consumers. This contemporary scenario supports the premise of production designer Thomas Hammock's (The Guest, You're Next) writing and directorial debut The Well, a "science factual" post-apocalyptic film thattakes place in a barren Oregon valley ten years after the last rainfall. Seventeen-year-old Kendal (Haley Lu Richardson) hides away in the attic of The Wallace Farm for Wayward Youth caring for fellow orphan Dean (Booboo Stewart), venturing out to check on the few remaining neighbors while scavenging for resources including water from their well and a vital piece of equipment to power an abandoned Cessna. Kendal and Dean dream of escaping in the plane, but they are thwarted by Dean's ailments and both vagrants and hunters that roam the valley in search of any remaining water.